Cape Town - Foton is set to make its first foray into the South African SUV market in 2016 with the launch of its new Sauvana. According to Foton: The model name is derived from the Spanish word “savannah”, which means a tropical plateau, and emphasises the vehicle’s go-anywhere capability." 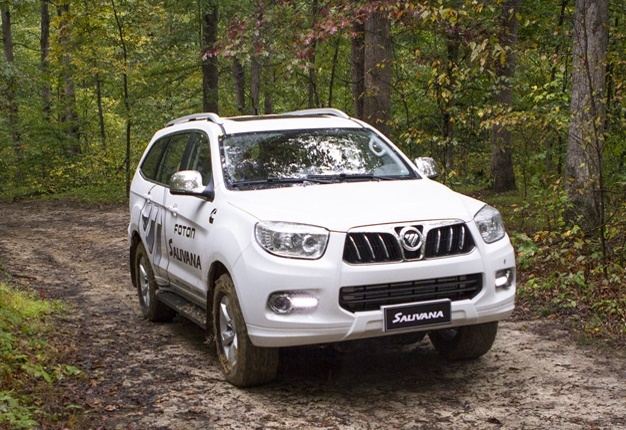 The Sauvana, first shown at the 2015 Shanghai auto show, will be, the automaker says, the first SUV yet to use a US-designed Cummins 2.8 litre turbo-diesel engine, already used in Foton's local Tunland bakkie range. The engine can be mated to a five-speed manual or a six-speed auto. The Sauvana, built on the chassis and running gear of the Tunland bakkie, has been undergoing local evaluation in South Africa covering more than 20 000kms in extreme conditions since early 2015. The new SUV offers rear-wheel or all-wheel drive options with low range. It measures 4.8m long, 1.9m wide and 1.8m tall with a wheelbase of 2.7m. The Sauvana can seat five or seven passengers depending on the version. It uses a twin wishbone independent front suspension and a five-link control system at the rear. Inside it has leather seats, touchscreen and steering wheel-mounted audio and cruise controls, keyless entry, sunroof, auto aircon and cruise control. I'm a 46 year old woman looking to meet men between the ages of 41 and 56.